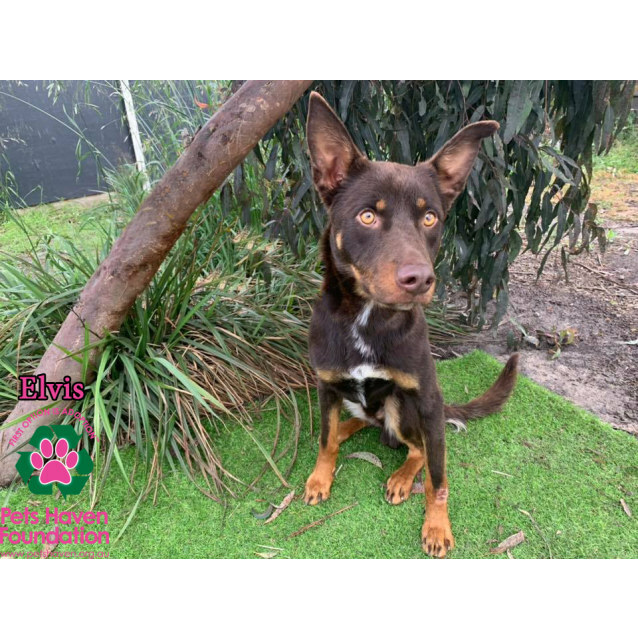 Elvis is a handsome, approx 18 month old Kelpie blend. Smart and focused, Elvis is eager to learn and to please his handler. He would likely soon be a star if taken to regular obedience classes. Elvis may even enjoy agility lessons with his new family. Super playful, Elvis gets along well with other dogs and would enjoy a doggy companion in his new home. He is looking for an active family who will take him with them on walks, hikes, swims...anywhere really where he is enjoying life with his loved ones. At the end of the day, he would love to join you inside to watch TV and relax knowing he is loved and happy.